In what ways are cities central to the evolution of contemporary global capitalism? And in what ways is global capitalism forged by the urban experience? This book provides a response to these questions, exploring the multifaceted dimensions of the city-capitalism nexus. Drawing on a wide range of conceptual approaches, including political economy, neo-institutionalism and radical political theory, this insightful book examines the complex relationships between contemporary capitalist cities and key forces of our times, such as globalization and neoliberalism. 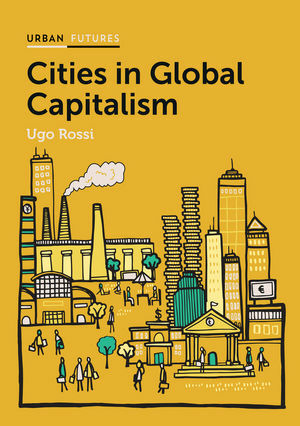 Taking a truly global perspective, Ugo Rossi offers a comparative analysis of the ways in which urban economies and societies reflect and at the same time act as engines of global capitalism. Ultimately, this book shows how over the past three decades capitalism has shifted a gear – no longer merely incorporating key aspects of society into its system, but encompassing everything, including life itself – and illustrates how cities play a central role within this life-oriented construction of global capitalism.